Tom Petty—legendary rocker of 40-plus years, Hall of Famer, and frontman of the Heartbreakers—died Monday at the age of 66. According to TMZ, he was found unconscious, not breathing, and in full cardiac arrest at his Malibu home Sunday night. He was then rushed to the hospital where they found no brain activity. A decision was then made to take him off life support. Celebrities have taken to Twitter to express their condolences (see below), but long before this unexpected tragedy, they showed their adoration for the iconoclastic and influential guitarist, singer, and songwriter through covers, samples, and interpolations of his classic hits. 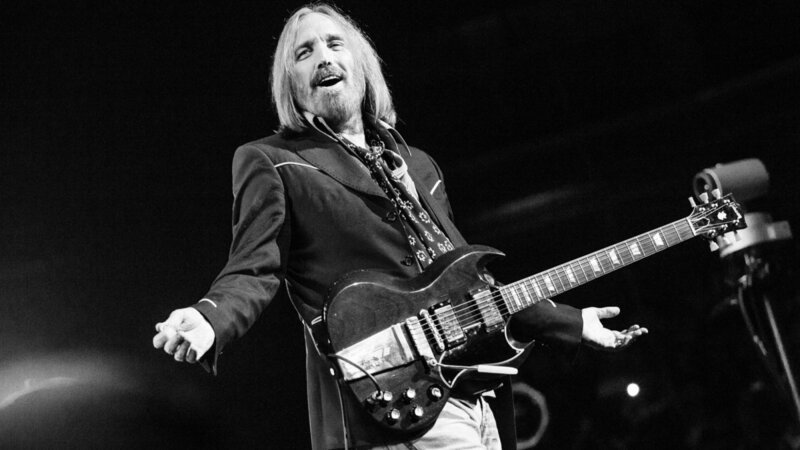 We've rounded up five artists who have honored Petty through music. One of Petty's most famous tracks, as well as his longest-charting, the 1989 song is often dubbed one of the greatest of all time. Mya covered the track for her third studio album, Moodring. In 2015, Sam Smith agreed to pay songwriting royalties to Petty and his co-writer of their classic "I Won't Back Down" after listeners noticed that Smith's "Stay With Me" chorus bore similarity to the driving melody of the 1989 track. Lana borrowed the lyric "Hell yes, honey, put on that party dress" from Petty's 1994 cut "Mary Jane's Last Dance." In 2006, a US radio station claimed that RHCP's hit single "Dani California" had plagiarized "Mary Jane's Last Dance"—both of which had been produced by Rick Rubin. The station called for Petty to sue the band. However, he refused to do so, saying: "The truth is, I seriously doubt that there is any negative intent there. And a lot of rock & roll songs sound alike." The first single off the UGK member's final album, Pimpalation (2006), featured a sample of Petty's "Free Fallin,'" warranting it a vote for one of the best songs of the year by Rolling Stone.